According to the policies enforced by the Fedora Project, support for an operating system will be pulled exactly one month after the release of v. +2. This is to say that if Fedora 10 was released on the 25th of November, support for Fedora 8, codename Werewolf, will come to a halt on the 25th of December, right on Christmas day. For specifically that reason, the Fedora Project decided to give the Werewolf a small breather and will officially end its life on the 7th of January. At the time of its release, back in November 2007, the features that made Fedora 8 a big hit with Linux fans all over the world were its Codec Buddy, PulseAudio sound server, system-config-firewall, Bluetooth integration, IcedTea, Compiz (and Compiz-Fusion), Network Manager 0.7, and many more. Now that Fedora 8 is rapidly approaching the end of its lifecycle, you are well advised to upgrade to newer versions of this OS. 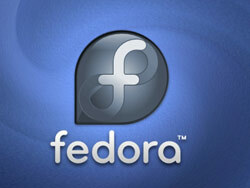 You can choose between Fedora 9, codename Sulphur, and Fedora 10, codename Cambridge. If you are the kind of person that does not take change very well, you could by all means keep using Fedora 8; just realize the risk you are exposing yourself to. You will have to live with no updates, no bug patches, and no security fixes; not to mention you will not get to enjoy the improvements and new features that can be found in Fedora 10.